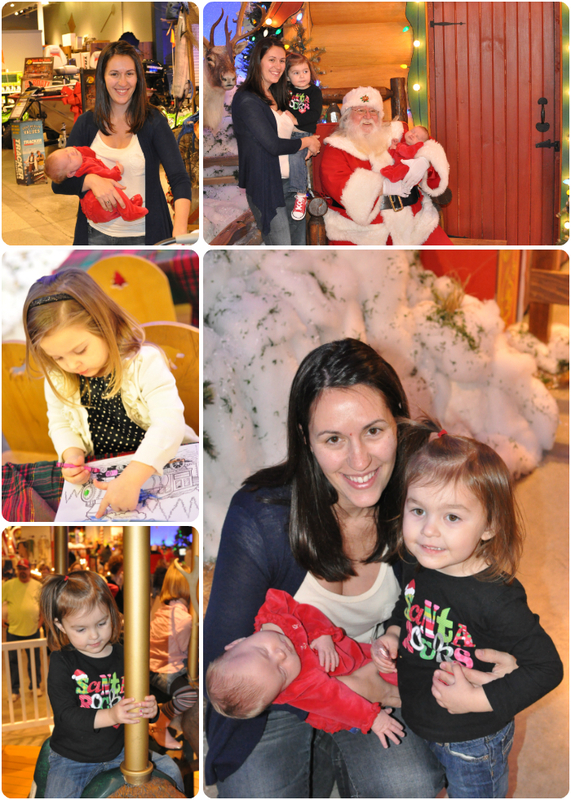 For the past two years we've went to Bass Pro Shop with Avah's family to see Santa. It's never disappointing. My girl was happy to talk Santa's ear off, but didn't want to sit with him. Hattie on the other hand was happy to be help and was indifferent to who did the holding.